Barn XO is a family business that sells reclaimed furniture for the home and office. You might be wondering what reclaimed furniture is, what reclaimed materials are, and so on. When buying a new item from a big box store, there is little thought to the source of the materials the product is made from. However, reclaimed furniture is different. Reclaimed wood or reclaimed lumber as it is sometimes referred to, come from buildings and structures that were built in a time when wood was one of the most common building materials. Sometimes the building or structure the lumber is salvaged from is from an era when wood was not only the most used building material, but also the only building material other than nails. As you might imagine, buildings and structures that were built in a time of wood as the dominant construction material are quite old. Traditionally as those buildings and structures get torn down, the wood would be thrown away and/or burned. Thanks to the reclaimed furniture movement, those materials are being rescued and reused. Instead of ending up in landfills or as dirty smoke in the air, the wood can find new life as desks, chairs, tables, and entertainment centers. Barn XO goes one step further than our competition. 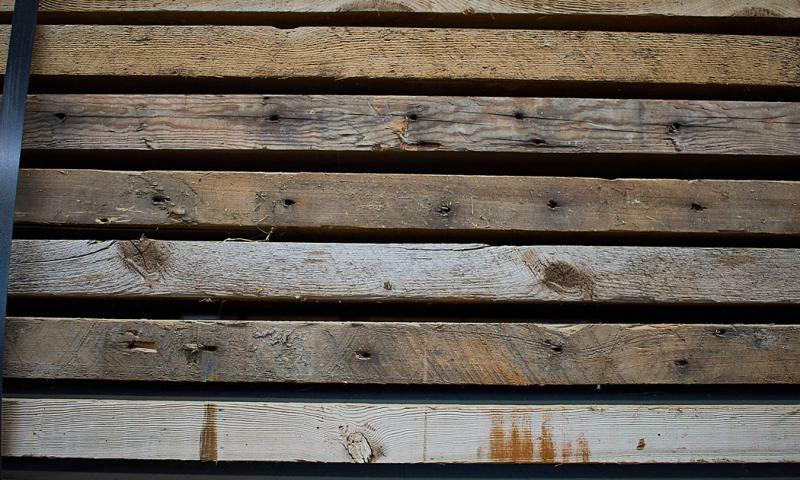 We source our reclaimed wood from the mid west. Mainly old barns from the plethora of farms in this part of the country. Shopping local has an extra layer of meaning with Barn XO. Now you know what reclaimed wood is. Check back soon to find out why reclaimed wood is such a good material for furniture.